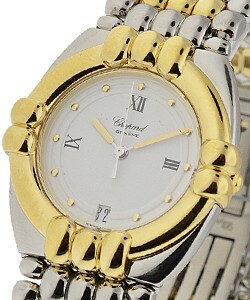 Founded in 1860 by Louis Ulysse Chopard, this company soon acquired an excellent reputation for its precision watches. 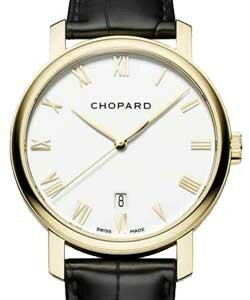 The Chopard watches were so precise, that they became one of the main suppliers to the Swiss railway - known for their punctuality. 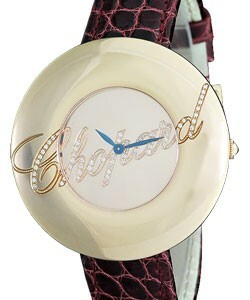 Just about a century into its legacy, Chopard was purchased by jewelry entrepreneur Karl Scheufele in 1963. 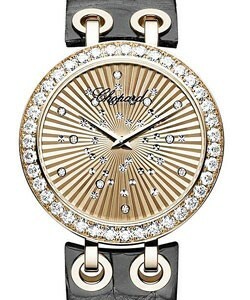 In 1976, Chopard unveiled the now-famed Happy Diamonds collection to the world. 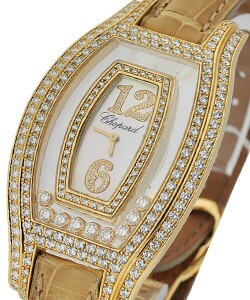 Louis Ulysse Chopard founded his company in 1860 and soon became known for watches with a reputation for precision. 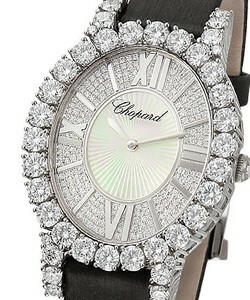 After being purchased by a jewelry entrepreneur, Chopard released the famous 'Happy Diamonds collection', which is still one of their most popular lines. 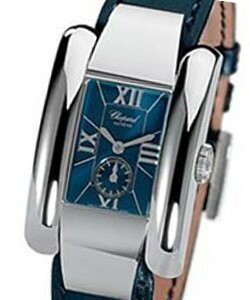 Chopard luxury watches are favorites with the ladies because of their elegance and classic styling. 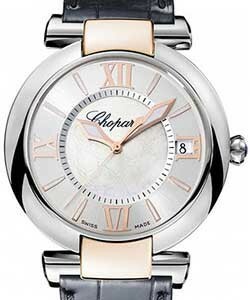 Collections include the Chopard Ladies collections, the 'L.U.C models', the 'Chopard Classic Racing line', and 'the Elton John series'. 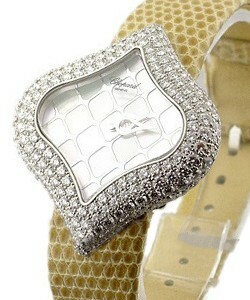 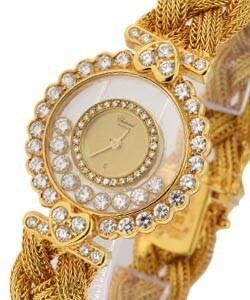 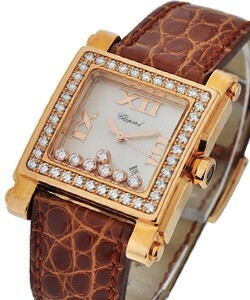 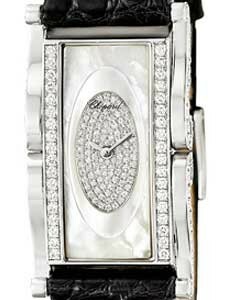 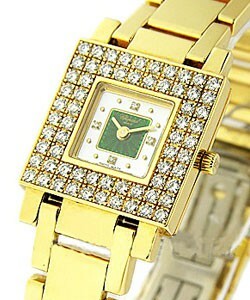 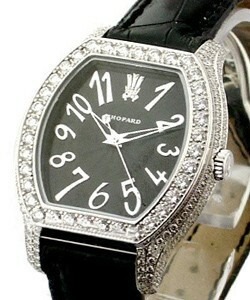 The 'Ladies collections' of Chopard luxury watches are the most recognized watches of this brand. 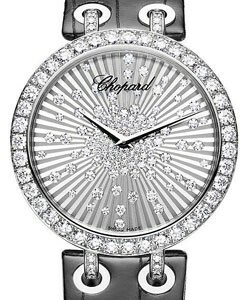 They include the 'Chopard Anna Netrebko', the 'Happy Sport Collection', the Happy Diamond Concept, and the Chopard Imperiale Collection. 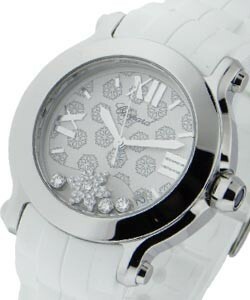 These collections for the ladies bring simple elegance to timekeeping. 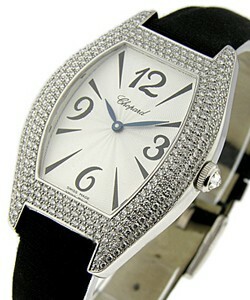 They have the precision to keep your time no matter what you are doing with your time. 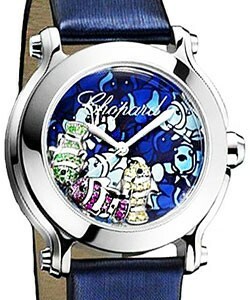 The Happy Collections are unique with the floating diamonds, some sporting different shapes. 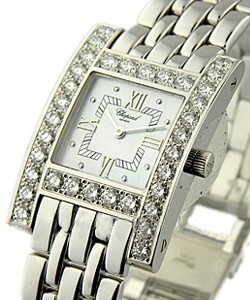 As a lady gently moves throughout her day, the diamonds float with her and add sparkle and elegance. 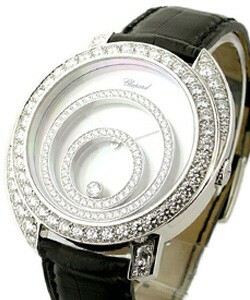 Precision Chopard luxury watches are what the 'Chopard L.U.C collection' is all about. 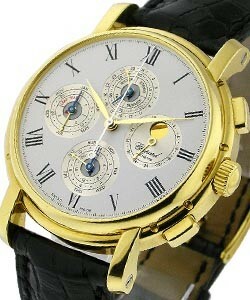 These timepieces include complications and technologically advanced processes with the in-house movement of the 'L.U.C Tourbillon'. 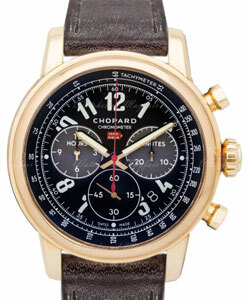 The 'Mille Miglia Gran Turismo XL line' embodies the passion, performance and precision of racing and is part of the 'Chopard Classic Racing collection'. 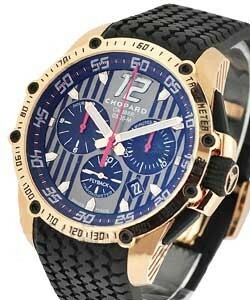 Also included in this collection are the 'Chopard Jacky Ickx', the 'BPMH Time Attack MF', the 'Grand Prix Monaco Historique 2010' and the 'Mille Miglia 2010'. 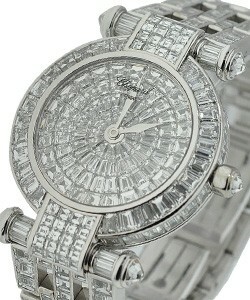 These remind one of the speed of the tracks as they include details that pay tribute to racing greats. 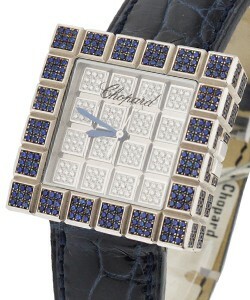 Another collection of the Chopard luxury watches pays tribute to Elton John and comes in a variety of colors and materials that anyone who loves his music will appreciate. 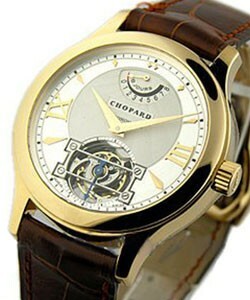 These are not simple timepieces, but also include some of the favorite complications. 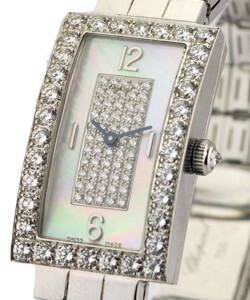 These classic timepieces not only reflect some of Elton John's exuberant personality and his love of watches, but also his generosity as they help to support his AIDS foundation. 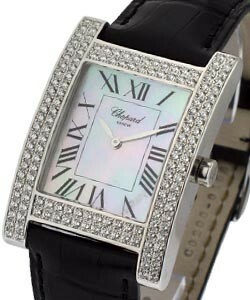 Chopard's re-birth in 1996 was due to the release of their 'LUC Collection', then they created strong brand awareness with their floating diamond 'Happy Sport' series. 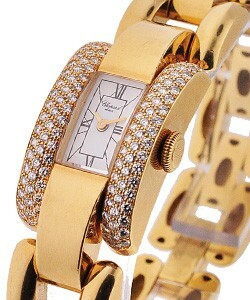 This line launched others including 'Happy Beach', 'Happy Fish', and 'Happy Diamonds'. 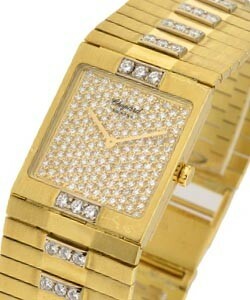 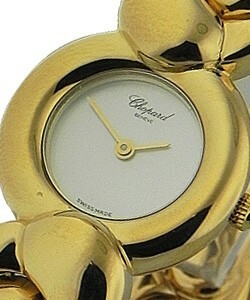 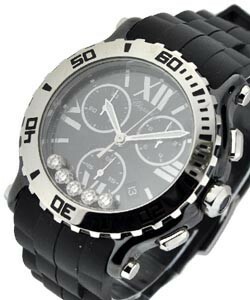 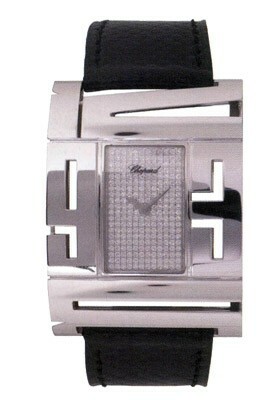 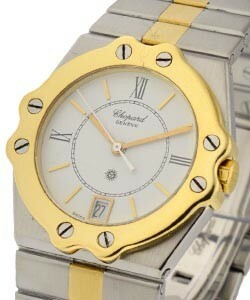 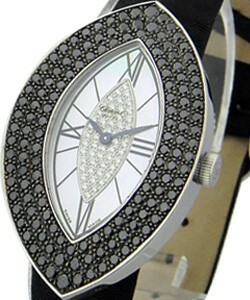 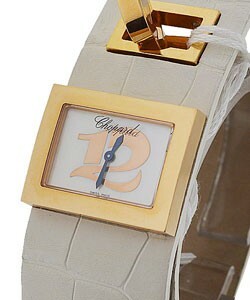 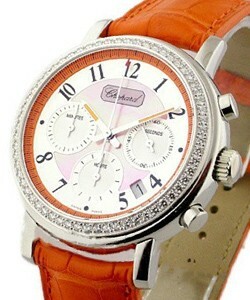 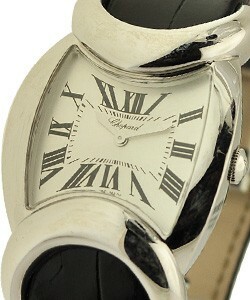 Chopard is a brand known more for its lady's watches then its men's line. 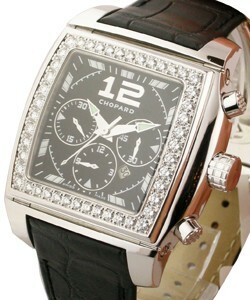 However Chopard's 'Mille Miglia' men's chronograph line has proven to be very popular, and so Chopard has recently seen growth in the world of men's luxury watches.